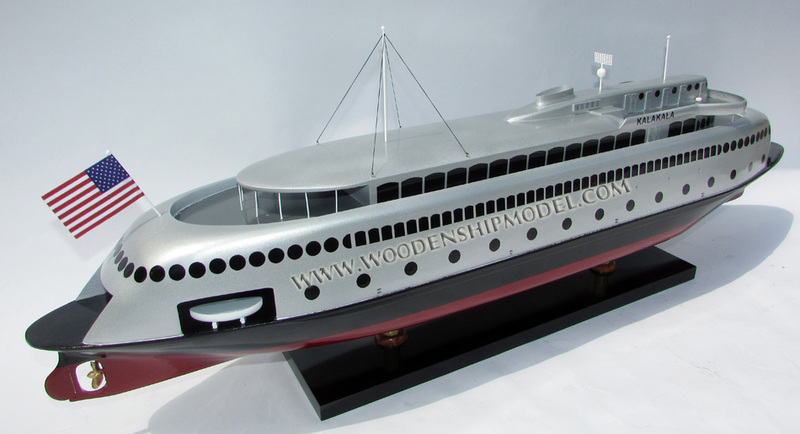 Our model is hand-crafted from wood with planks on frame construction and painted as the real ship. This model is not a kit and ready for display. Kalakala was and always will be a one of a kind vessel. She was originally built in 1927 as the steam ferry SS Peralta for the Key System Transit Company of San Francisco, California. Her sister ship was Yerba Buena. For a few years, Peralta travelled the route between San Francisco and Oakland, until a fire destroyed her in 1932. Due to her being damaged beyond repair and the constructions Golden Gate Bridge (US 101) as well as the Oakland Bay Bridge (US 40/50 and now I-80) made ferry operations illegal in San Francisco Bay. Peralta had all of her superstructure scrapped and was left to rot. 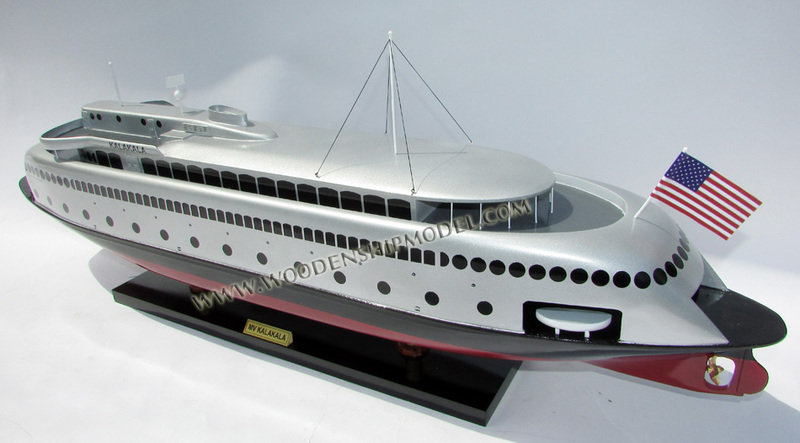 In 1933, she was purchased by Arthur Peabody, owner of the Black Ball Line ferry company in Seattle, Washington. Peralta rather than being scrapped as most people would expect, was towed up to Seattle by the tugboat Creole. 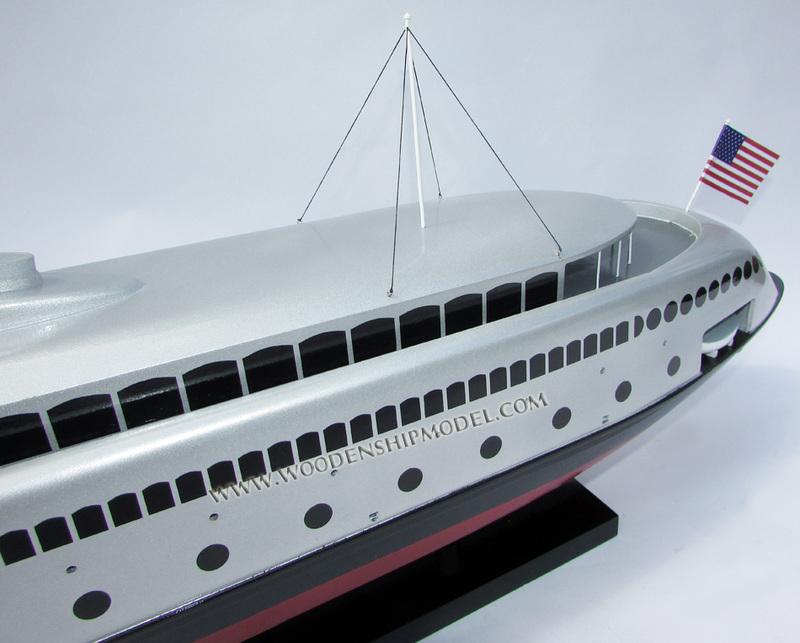 Between 1934 and 1935, the Peralta was completely rebuilt into a brand new and unusual vessel, redesigned by Louis Proctor, a Boeing engineer. The Kalakala (Chinook Indian for "Flying Bird") became the flagship of the Black Ball Line and the second most popular icon in the world. It almost beat the Eiffel Tower and was more popular than the Statue of Liberty and Empire State Building! The Kalakala Flying Bird Orchestra, a big band throughout the 30's and 40's, performed aboard Kalakala on midnight cruises, and their music was broadcast worldwide. 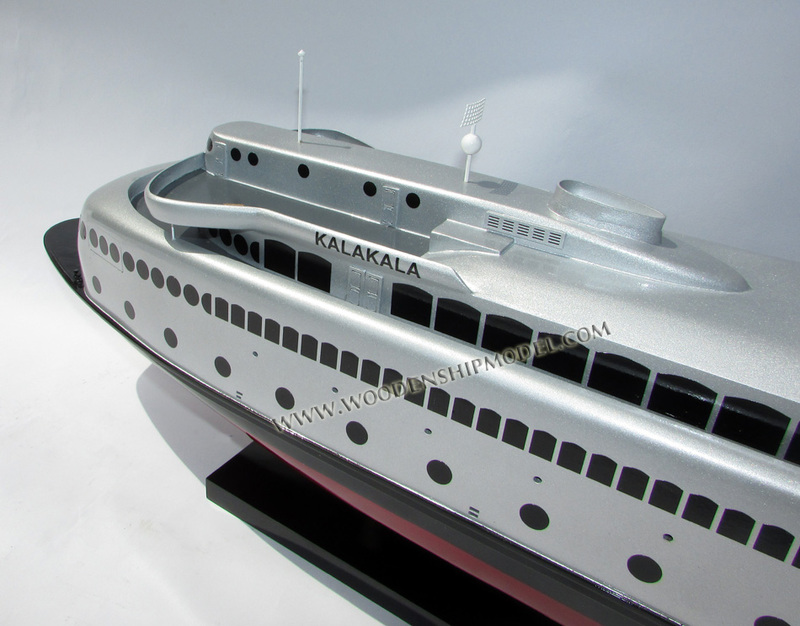 Kalakala became immortalized in the Bing Crosby song "Black Ball Ferry Line" around this time. During World War II, Kalakala was a vital component to the Bremerton Naval Yard, delivering workers to and from their via Seattle. After the war, Kalakala remained extremely popular and became the first commercial vehicle of any kind to ever have radar. A Raytheon unit sporting FCC License Number 001, which was active at least until January 22, 2015. The radar dish itself along with a few other Kalakala relics still exist today preserved in Port Angeles, Washington. In 1951, following a union and state government conspiracy, the Black Ball Line was in a sense stolen from its rightful owners and became Washington State Ferries (which it still is today). Kalakala changed routes to operate between Port Angeles and Victoria, Canada in the 1950's after a reformed Black Ball Line operating in Canada bitterly cut off the route in anger towards Washington state. 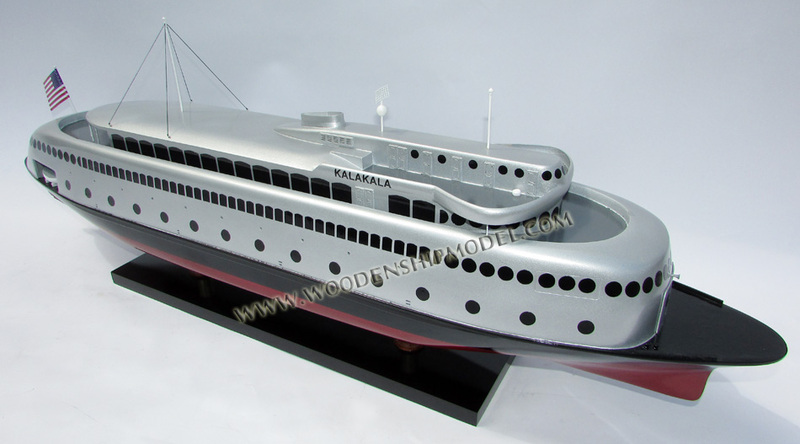 It was also around this time the Kalakala was re-bladed with a 5 bladed propeller, reducing the infamous vibration her misaligned engine caused by 40%. 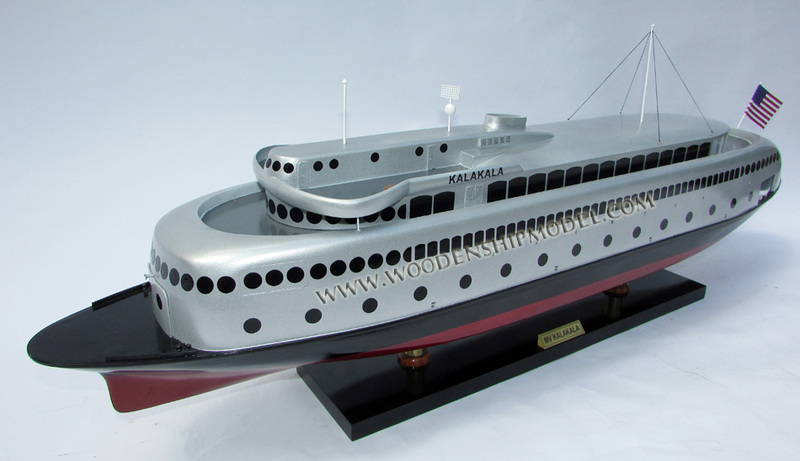 Kalakala continued to serve the state as a popular Seattle icon and ferry into the 1960's, being the second biggest attraction at the 1962 Seattle World's Fair/Century 21 Exhibition. The most popular of course being the new Space Needle. Sadly, time was catching up to the old flying bird. 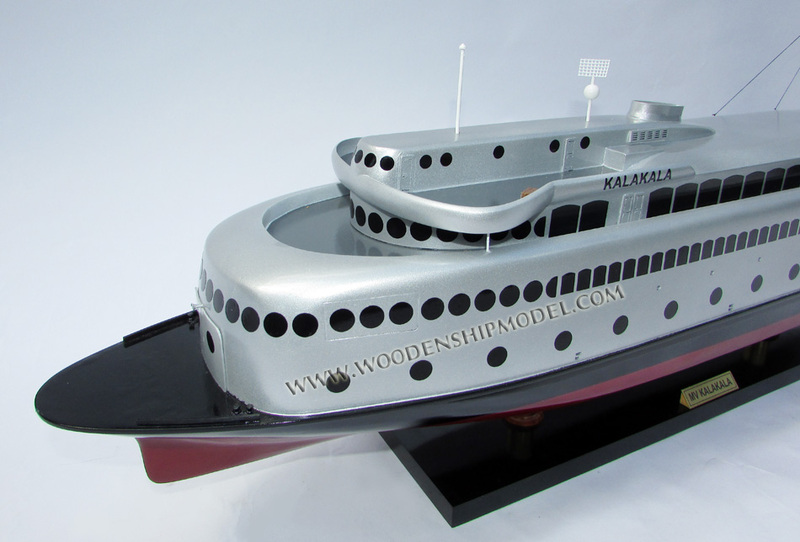 With the increase in car traffic and car size, Kalakala became inferior to other ferryboats with its small car carrying capacity. It was replaced by the superferry Hyak (still in operation today) in 1967. She was sent to Alaska where she became a sea food processing factory, was eventually landlocked as a "building" and abandoned for 20 years. 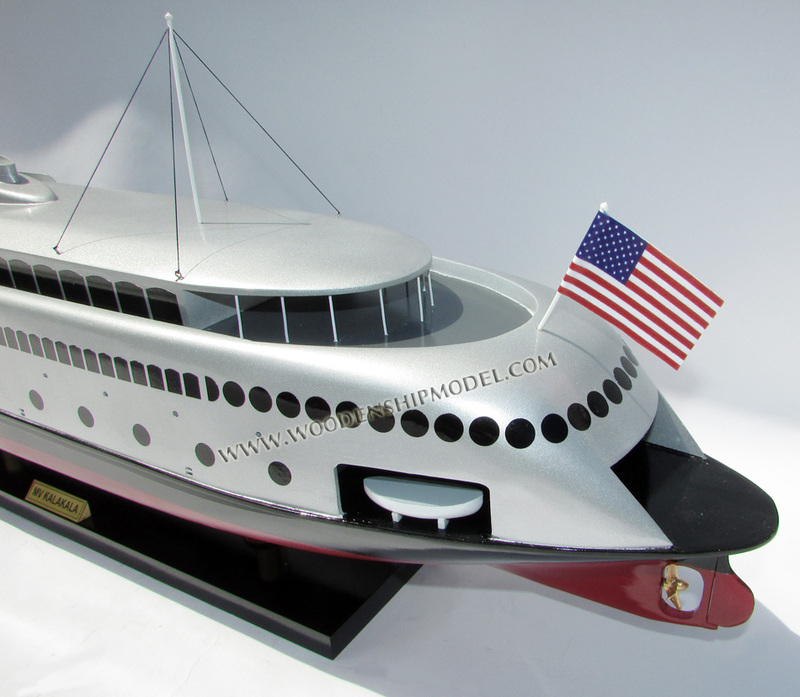 A Seattle man named Peter Bevis brought her back to Seattle in the 1990's and was restoring her in Lake Union when he somehow lost ownership of her. The new hippie run Seattle forced Kalakala to leave in 2004. She was sent to Tacoma where a man named Steve Rodrigues tried to fix her up, but ultimately had the vessel stolen from him by the Coast Guard forever sealing her fate. Rodrigues wasn't able to fix her fast enough resulting in her almost sinking in 2011. Karl Anderson took over ownership in 2012 and though he owned facilities that could house Kalakala, he didn't have enough money to restore her, nor was his drydock available. By the time the drydock was open, Kalakala was too badly corroded. On January 22, 2015, Anderson scrapped the Kalakala in a move which spurred major controversy and broke the hearts of millions. She may be gone, but Kalakala's spirit will live on forever so long as she's remembered.